Pets Avenue website is about pet products for cat, dogs, birds, mice etc. at very competitive prices. WebsiteOnDemand is building CMS based websites in respect with industrial standards W3C. This websites are scalable to upper options because is built from the beginning as a modular system. Forum, chat, answer and questions, photo gallery, video and audio streaming, shopping cart, payment gateway, google and yahoo gadgets are just a few example. Casa Di Musica is a a new dynamic hot music bar on Enmore Road down the road from the Enmore Theatre. 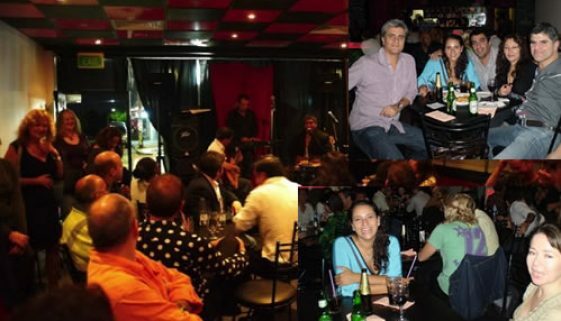 Casa di Musica host top musicians and organise regular Latin American music night Fridays. Australia Plastic Surgery is one of the pre-eminent plastic surgery facilities in Sydney. Australia Plastic Surgery prides itself in providing the latest knowledge, technique, science and technology in advanced Cosmetic Surgery, Producing Natural Beauty through Art and Science. Dentistry Ada Medical System has a team of professionals and provide medical and aesthetic solutions to global standards. Everyone is unique, and problems of teeth are also unique. For us, each case is treated with all the attention as individual with specific problems. Fast Information is a bilingual database of IT documentation and tutorials for professionals. Here you can find information in English and Romanian from areas like Web Development, SEO, Servers, Networking, Internet security and so on. At The French Organic Company we want to propose to our customers a wide range of certify organic products along with the French “savoir faire” and knowledge. Our selection of products is certified organics by the French organic certification AB and Ecocert. Our prime motivation has been to give our customer the peace of mind and the guaranty of a true organic product. This is the reason why we decided to research the best of what France has to offer, and bringing it directly to you. Swift Products supplies a range of consumables and spare parts for most major makes of Foam and Insulation Cutting Machines and value in wires, blades and knives for cutting foams, insulation materials and in food processing. Media Stringers offers professional editing and writing services.